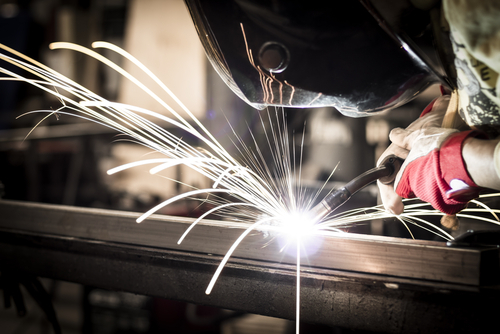 Metal fabrication can create a dangerous work environment. That is why it is so important for everyone involved to prioritize safety at all times. Here are some common causes of injuries, along with valuable tips for avoiding injuries on the job. Workers may suffer injuries due to excessive use, using the wrong tool for the task, inappropriate work area design or insufficient ventilation. Ignoring proper lifting protocols, working longer hours than appropriate and not using safety equipment can lead to serious injury. If work areas are not protected with barriers or guards, workers may come in contact with dangerous machinery or slip and fall. Having the right gloves, goggles, helmets and footwear is essential for being safe. If something is too heavy to move on your own, use handling equipment. If you can lift it yourself, always use the proper lifting protocols. Always check your tools before starting any task. Look for signs of wear or any potential malfunctions. Nothing should be taken for granted in a metal fabricating environment. Always take precautions such as removing loose jewelry around machines and wearing heat-resistant gloves before handling sheet metal. It’s impossible to follow safety protocols if you don’t know what they are. Be sure you receive the most up-to-date training relevant to your job. Understanding how your tools work and how to operate them safely is imperative. Be aware of any safety features as well as their recommended tolerances. Author Bio: Zach Van Dyke is one of LeClaire Manufacturing’s inside sales representatives who has been with LeClaire for seven years. He dedicates a portion of his time at LeClaire to its safety committee, a role he takes seriously. Beginning as a production worker, then a shipping clerk, and now sales — he has a broad perspective of safety in a manufacturing setting.